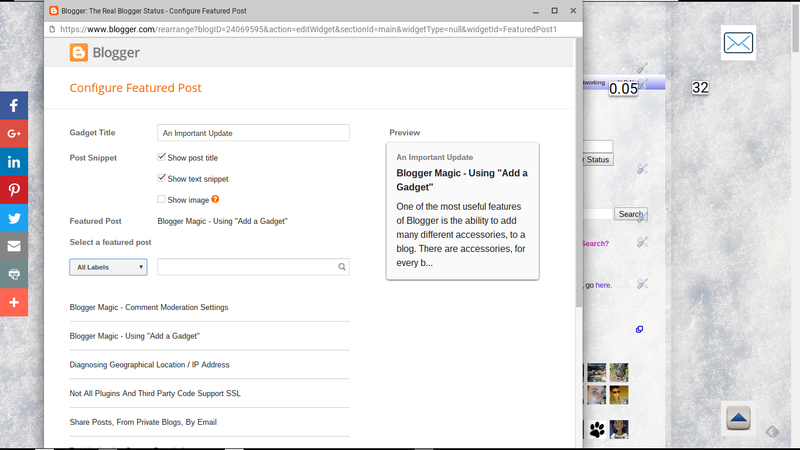 Combining the "Featured Post" gadget and labels, we can alternately feature multiple posts, in a daily or weekly sequence. 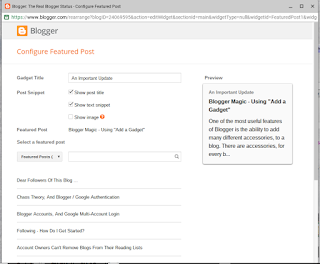 I added a label in this blog, "Featured Posts". I identified a couple dozen posts, in this blog, which need to be featured - and gave each post the label "Featured Posts". 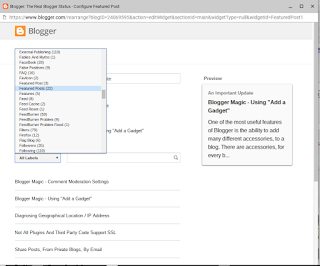 My intention, once the Blogger Followers gadget rewrite effort is behind us, is to feature one different post in "Featured Posts", each day. Just edit the "Featured Post" gadget, and select a different post - each day. 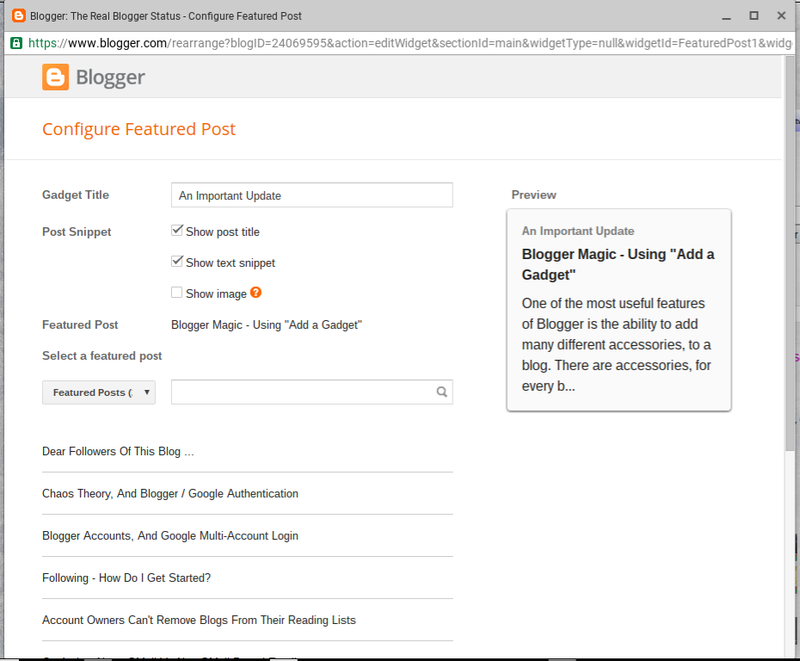 The "Featured Post" gadget is at the top of my blog. I can edit the gadget, and open the label list. That gives me a list of my posts, with the "Featured Posts" label. And, I selected the currently featured post, "Dear Followers Of This Blog". 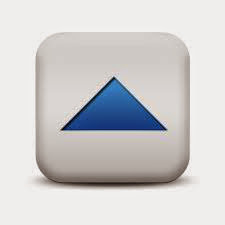 Next month, I may select a different post to be displayed as a Featured Post. So I can't feature more than one post at a time - but I can alternately feature different posts. 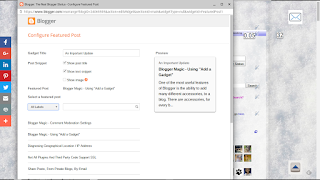 And with some planning, I can make it easy to alternately feature different posts. 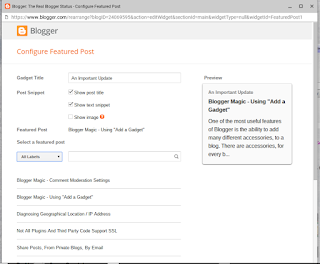 The #Blogger supplied "Featured Post" gadget can't be used with more than one such gadget on any blog, simultaneously. It is called "Featured Post" - maybe, for a reason. 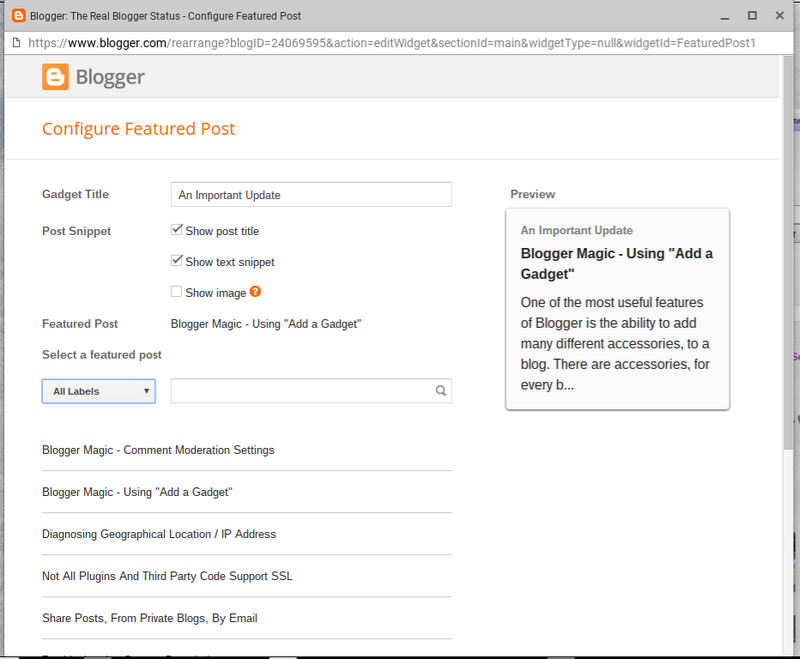 With a little planning, though, you can organise the posts to be featured - and change the gadget, daily or weekly.